"Professional custom framing serving Las Vegas and the surrounding areas." Owned and operated by Edi Carcamo of Las Vegas, Off The Wall Art & Framing just rolled past the ninth year anniversary of it's amazing start up during one of the worst recessions since the Great Depression of the 1930's. More amazing is how Off The Wall came into existence as the dream of an immigrant who moved to Las Vegas from Guatemala in 1989. A single guy with little to his name Edi secured several jobs before finding work in the framing business. Now with over 25 years of quality framing experience, a wife and three children, Edi has made the American Dream come true. With a dedicated family by his side and years of experienced staff supporting him, Off The Wall is the quintessential story of what every immigrating man, woman and child hopes and dreams of when coming to America, the Land of Opportunity. Topping of his amazing journey is his persistence and resilience during one of the hardest economic times in America's recent history to start a new business and succeed at it. 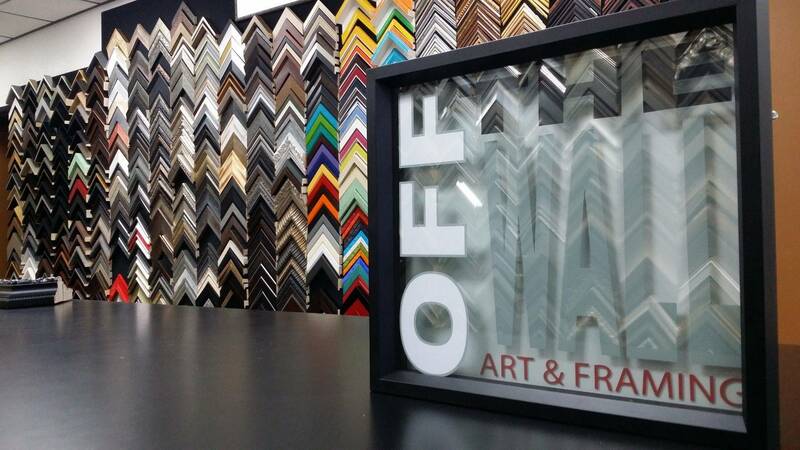 "There is no doubt that OFF THE WALL Art & Framing has become a formidable wholesale and retail business in the Las Vegas and surrounding areas as the high quality of their work has become known throughout the design profession. Already serving the largest of hotels in the Las Vegas tourist industry as well as local retail and wholesale designers, Off The Wall is really...OFF THE WALL!"